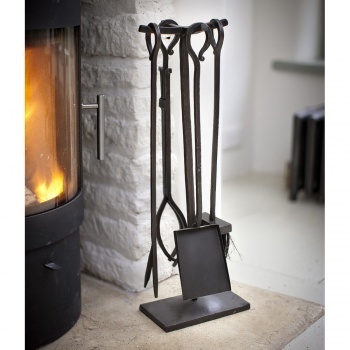 Stylish tools to complete your fireside. 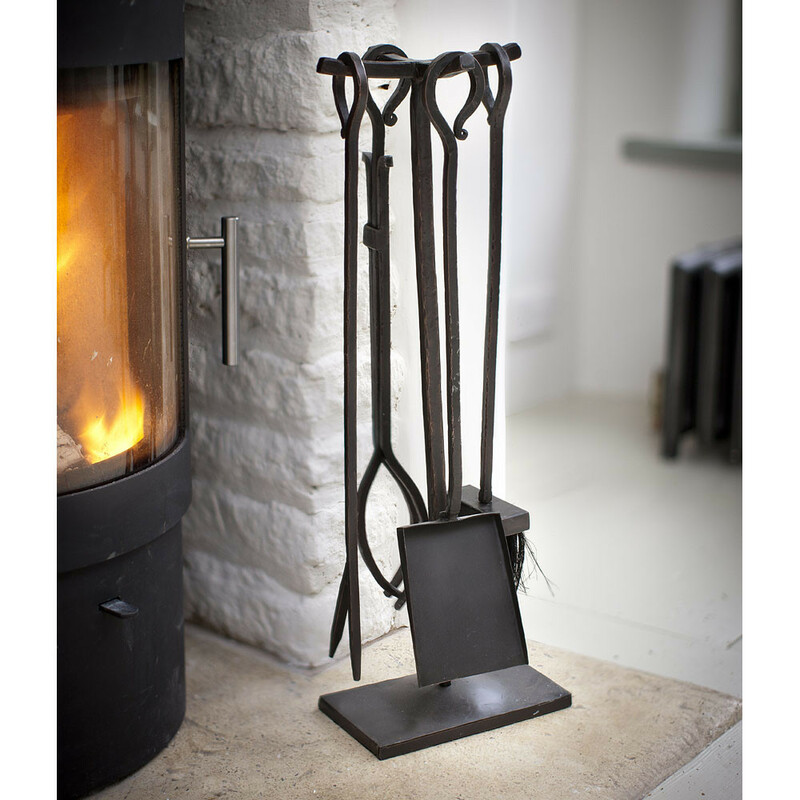 Includes a fire poker, designed to poke your fire from a safe distance, and a log grabber to transfer logs from basket to fire safely. Plus a ash shovel and brush.